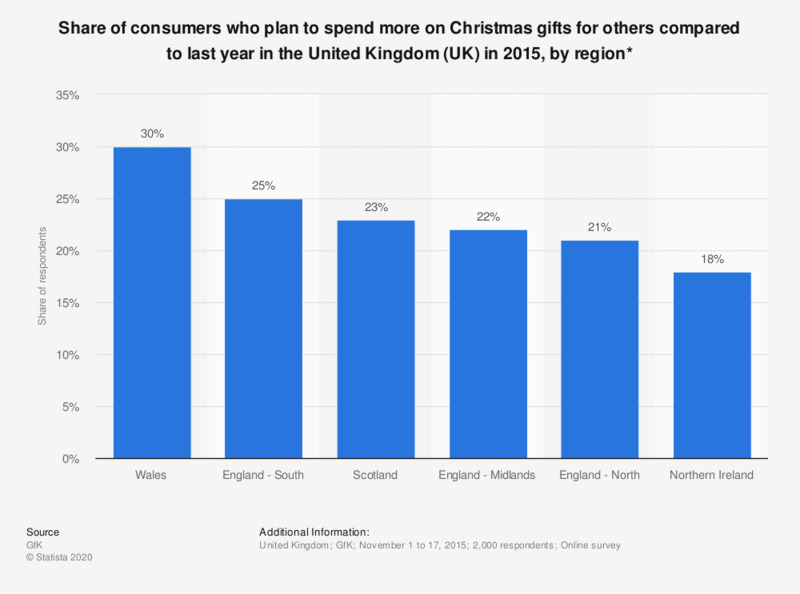 This statistic shows the results of a survey regarding Christmas spending on gifts for others in the United Kingdom (UK) in 2015 compared to last year, by region. In Wales 30 percent of respondents planned to spend more on gifts for others this year compared to last. Why will you spend more on Sinterklaas (Saint Nicholas) and Christmas this year?